Success Principles: Action - Take Control Of Your Life - Motivate Amaze Be GREAT: The Motivation and Inspiration for Self-Improvement you need! This is the perfect way of starting this article, you want to take control of your life, you really need to take action! Yes! Most people wish they were better, wish they had better things, wish they had a better life. But wishing will not do it... You need to execute your ideas and make your dreams a reality. If your life is really is out of control, you need to rethink it and find what's missing. The common point to the majority of people with this problem, is that they don't do what they really need to do to control their lives. In other words, they don't take action! 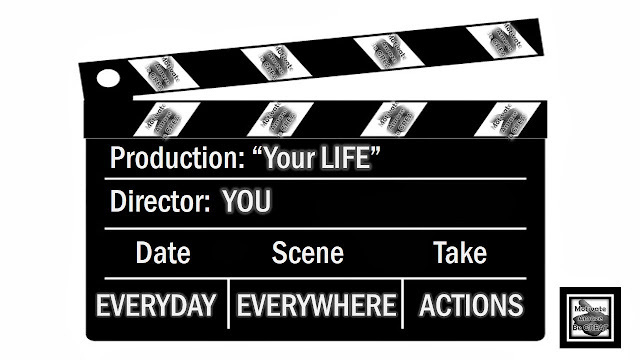 Get this straight: For you to get somewhere in life you got to act! I doesn't matter the knowledge you have, the things you possess, as long as you don't take action knowledge and other things are pointless. You get nowhere. In fact, you know this and witness it. Think about some of the most knowledgeable people you ever met in your life, those that never made any significant progress in their career. In other hand, you have other ones that lack that same knowledge but are doing it big! They get to places people with fare more resources can't. That's because in action making skills they really are at the top of their game. It's not the resources you have, it's how you make use of them! So point blank period. Either you can act on what you know or you can't. You must develop this set of skills if you cannot take the required action. When? Where? Everyday, Everywhere take Actions towards your goals and dreams. Why? Because if you don't do it deliberately, no one else will do it for you. In fact, you will take action, but the wrong kind of actions, those that you didn't deliberate and don't relate with your dreams and goals, you start to sabotage your own life! So you've got to take action, but be careful not any action will serve your intents. Take this example: Your goal is to do a master thesis so you can finally have your masters degree. Your actions must bet to engage in bibliographic references, research studies, field tests an so on. But today you don't feel like it, and you prefer to sit on the couch to watch some tv program just for 10 minutes, in the mean time you get caught up in zapping and more zapping, you've found some fantastic movie, then one after another, some hours after that you notice that you lost a whole afternoon watching tv. Did you take action? Sure! But the wrong type of action. You lost not only time, but focus and now you're not driven anymore. Dis-encouraging that's what wrong actions can do to your goals and dreams. 2. Non premeditated action: no planned action you go by the flow. It's a bad feeling/good feeling thing. You do it if you feel like it. Number one it's the way you take control of your life. Number two it's the way to have no control of your life whatsoever. You decide what's better for you, and that should be a "no-brainer". We hope you've enjoyed this article and now you now why Action is fundamental if you want to take control of your life. Share this page with your social connections, continue to..